Who Has Time For Faxes, Phone Calls, and Complexity? From high priority STAT orders to complex lab workups, America’s blood bankers rely on our paperless orders to receive what they need, on time every time. With one login, access all the blood, products and and laboratory services you need to deliver life saving care to your patients. Track the progress of your order from inception to delivery, including lab sample status. Use templates to reduce errors and eliminate duplicate work. Set up scheduled orders to keep the blood flowing, or let BloodHub automatically re-order based on your available inventory and par levels. Every addition, deletion, or edit to your order is tracked and easily accessible. The easy-to-read audit trail contains all the necessary details to make sure your shifts stay in sync. All order details are archived and quickly searchable with a versatile, intuitive search function. Delight your customers with fewer errors, faster turnaround times, and higher fill rates. Optimize your inventory management with fewer outdates and improved staff productivity. 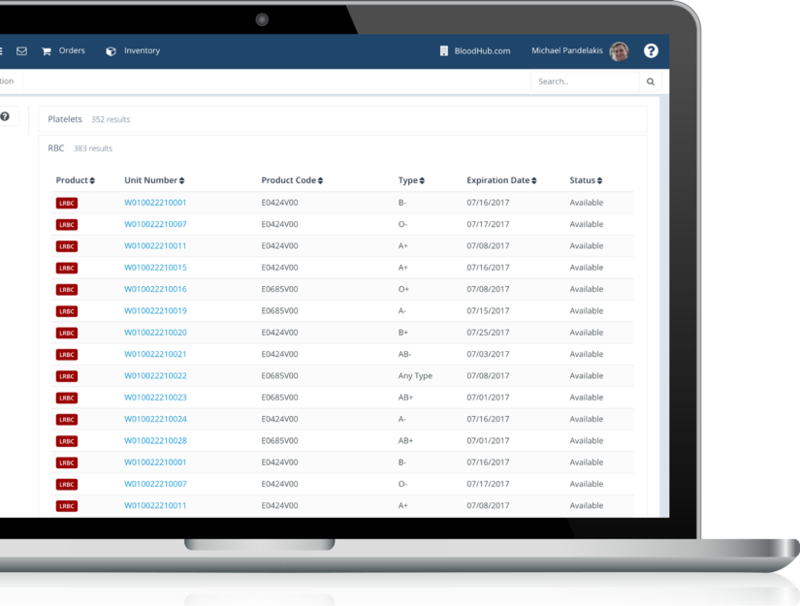 Keep track of all orders across your organization, from hospital services to the IRL, finance, QA and beyond. Follow the simple linear process from order submission to delivery, and automatically log the time it takes to complete each step. Optimize inventory allocation to meet customer demand. Track and analyze inventory usage and calculate fill rates. Eliminate order entry with real-time integration, and reduce errors with automatic verification of all shipments. Simplify product returns, discards and transfers for your customers. Capture credit requests to accurately decide when to award a credit, and communicate credit decisions electronically. When seconds matter, you need dispatch and logistics that won’t leave you standing in the parking lot. Let our intelligent routing logic balance distance, time and cost so your drivers can deliver with real-time, online transparency and accountability. 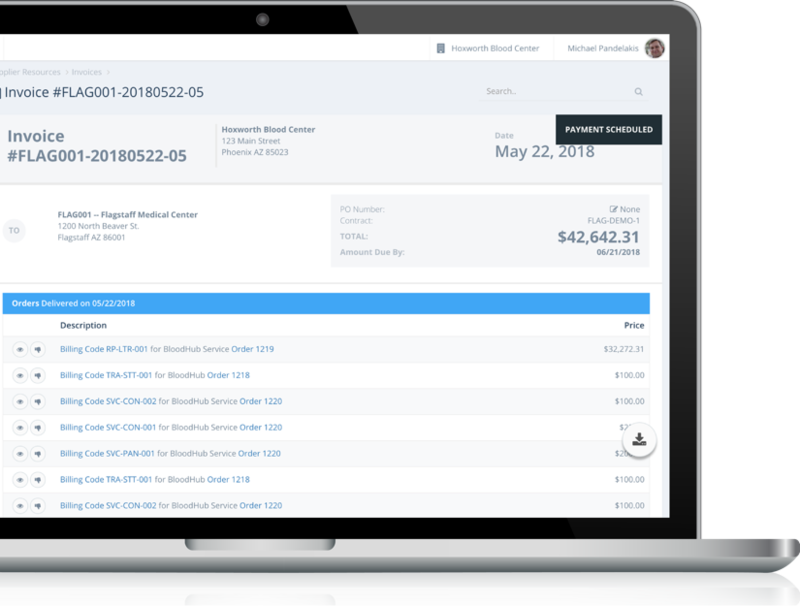 Consolidate all your deliveries, pickups, returns, and transfers into a single system. Dispatch using pre-configured routes or build ad hoc trips to meet ever-changing customer demand. Too complex? Use the intelligent routing logic to plan your trips given the resources at hand. Equip your drivers with smart phones and go 100% mobile. Know where your drivers are at all times and whether they are meeting their planned ETAs. Capture customer e-signatures on a mobile phone, along with proof of delivery. Use couriers to deliver STATs or simply meet customer needs during peak times? Make the process digital with two-way integration with the courier(s) of your choice. Capture the data needed to see if your courier is responsive, on-time, and cost effective. Why stop with paperless orders, when invoices can be paperless too? Bring order to your payments with intuitive, interactive invoices that make reconciliation easier and faster. Eliminate the chance of revenue leaks with air-tight integration between the fulfillment and billing systems. Whether delivering blood products or lab services, every transaction type is monetized based on flexible contract rules. Set invoice cutoffs and automate invoice generation and delivery. Give customers more options: receive the invoice via email or log into the billing portal for a richer interactive experience. 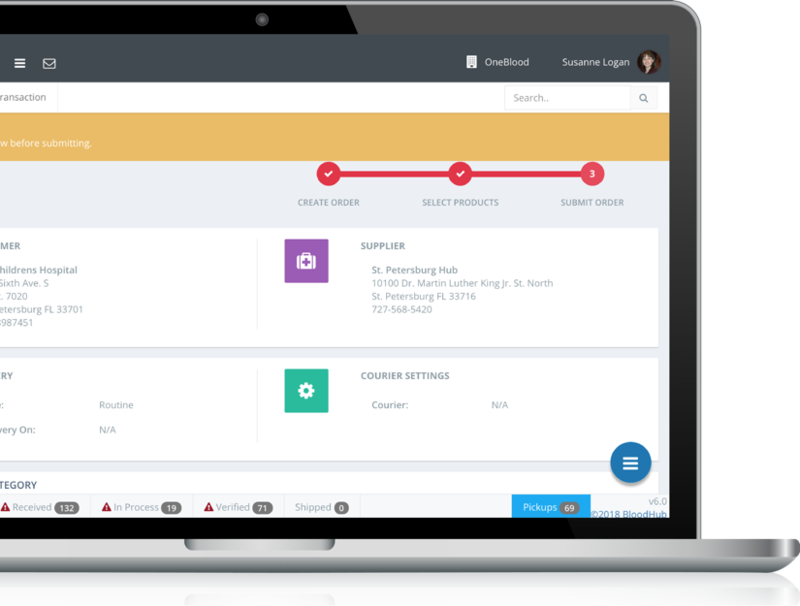 Simplify invoice review and reconciliation against shipments. Quickly investigate the source of every charge with easy drill downs to the source transaction. Still have doubts? Initiate a dispute online to get answers so payments are never delayed. How Widely is BloodHub Used? At BloodHub, our work is never done. We’re always making updates, based on your feedback, to improve the platform and make the blood supply more efficient. And to keep the dialog personal and productive, you’ll always reach a real person when you call.